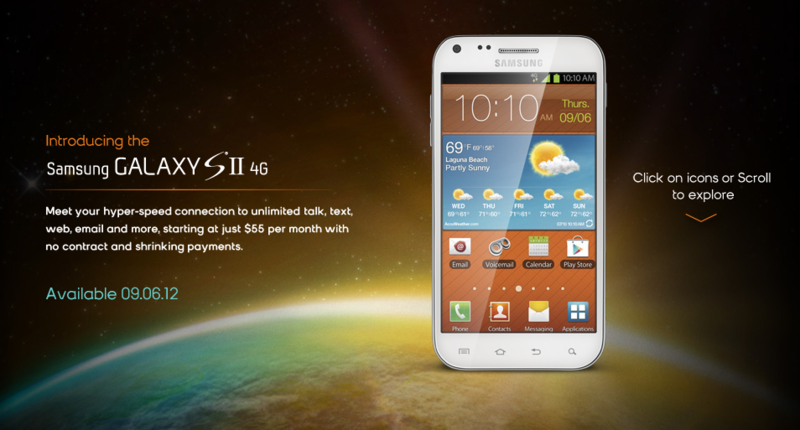 Galaxy SII 4G Coming To Boost Mobile's Lineup Promising "High-End Speed And Performance Without A Contract"
In a press release on behalf of Boost Mobile and Samsung Mobile today, it was announced that Boost's lineup is soon to be enhanced by the addition of the Galaxy SII 4G. The SII 4G, which initially debuted back in 2011, is just what you'd expect from a Galaxy SII variant: a 4.5" Super AMOLED Plus display, dual-core 1.2 GHz processor, 8MP camera (with a 2MP front-shooter), and 16GB internal storage. Unlike its older counterpart, however, Boost's SII 4G will be shipping with Android 4.0 Ice Cream Sandwich. The release goes on to explain that this announcement marks the first time the SII 4G will be offered on a no-contract carrier in the US. 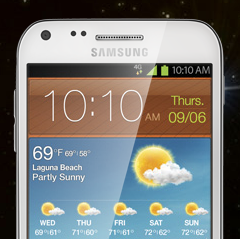 The Galaxy SII 4G for Boost will be available starting September 6th in white or black for $369.99 in Boost's "exclusive retail stores" and online, with wider availability coming later in the month. It's also worth noting the device will run on Sprint's 3G and WiMax 4G networks (yes WiMax). Oh, and Boost will be adding two other devices to their lineup alongside the SII – the Galaxy Rush and a feature phone called the Samsung Array. For more information, just check out the full press release linked below.